Looking for a way to reduce your energy bills this summer? Look no further than Advanced Climate Solution’s 6 top tips to reduce your summer energy usage. One of the most obvious and simplest ways to save energy this summer is to turn all electrical appliances off at night or when you leave the house. Although it may be tempting to leave the air conditioner on overnight, for the majority of the night you won’t even be conscious to benefit from the cool air. Instead, try turning off the air conditioner once the sun goes down and opening up a window to take advantage of the cooler night air. However, if you need the cool air of the air conditioner to fall asleep, try setting it on a timer to make sure that it turns off once you have fallen asleep rather than using more energy to run it all night. You can even set it to turn on 20 minutes before your morning alarm to ensure you wake up to a comfortable room temperature. Another simple and relatively inexpensive way to reduce your power bill this summer is installing energy efficient lighting. Although they may be small, light bulbs can contribute significantly to your power bill, particularly the old incandescent and halogen bulbs. Additionally, replacing your old bulbs with energy efficient bulbs will not only save you energy, they also last longer, saving you money as your bulbs will need to be replaced less frequently. 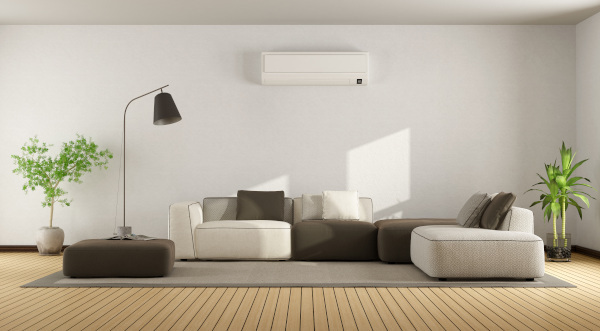 Once you know what type of air conditioner you want, whether it be split system or ducted air conditioning, and have worked out what size air conditioner you will need, there are a few other factors to consider before making the purchase. These include the energy efficiency of the unit, included warranty, unit and installation cost, as well as the unit manufacturer. 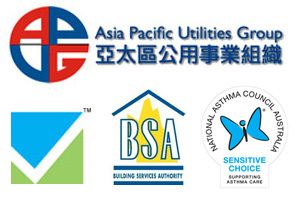 When choosing which unit to buy one of the most important factors to take into consideration is energy efficiency. This is because the energy efficiency of the unit will directly affect its running costs. And as most air conditioners have an expected lifetime of around 10 years, the unit running cost will likely be the biggest cost associated with owning an air conditioner. To compare the energy efficiency of different models, check the energy rating label (this is the label that shows a star rating of the energy efficiency of an appliance). If an air conditioner doesn’t have an energy rating label, you can use the GEMS Registration Database to check the energy efficiency performance of any air conditioner. You should also consider the warranty included with any air conditioning units you are looking to purchase. Depending on the manufacturer, air conditioner warranties can range from 5 to 15 years. This can be a deciding factor when choosing which manufacturer to go with as it can mean the difference between free repairs under warranty for an additional 10 years. Note: in order to claim under warranty the unit needs to be installed according to the manufacturer’s instructions and regularly maintained as outlined by the manufacturer. If you choose an air conditioner that is too large for your needs it will cool the room quickly and then turn off. This means that the air conditioner won’t stay on long enough to complete its cycle and control the humidity in the room. As a result, you will be left with a cold and clammy feeling room. Conversely, if you choose an air conditioner that is too small for your needs, the air conditioner will be working on overdrive to cool the area. This will cause your air conditioner to age prematurely, reducing the lifetime of the system. Additionally, your air conditioner will be constantly running as it doesn’t have the power to cool the area to the set temperature, which will cause your electricity bill to skyrocket. 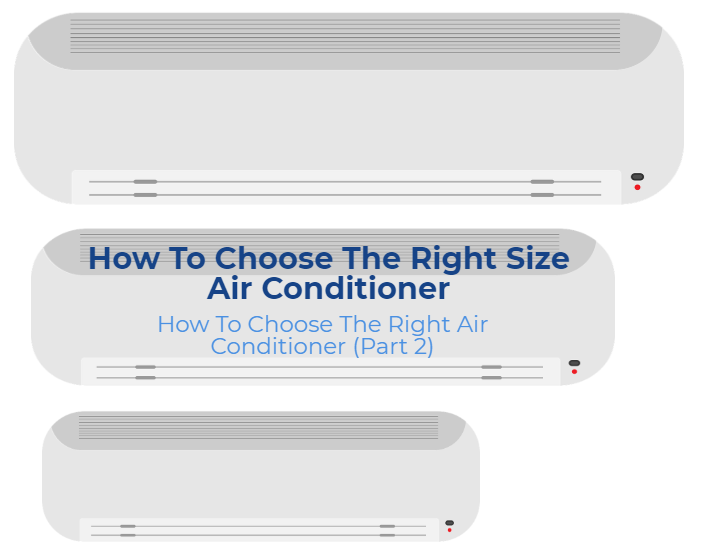 So, how do you choose an air conditioner that is perfectly sized for your needs? Ducted Or Split System Air Conditioner – Which Is Best? 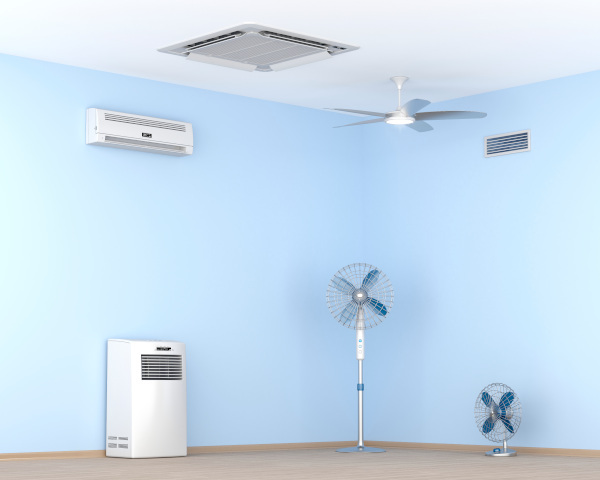 If you’re looking to buy a new air conditioning unit then you will likely be choosing between the two main types of air conditioners; ducted air conditioning and split system air conditioning. So which type is best? The answer depends on your air conditioning needs as each type of air conditioner has its own strengths and weaknesses as listed below. 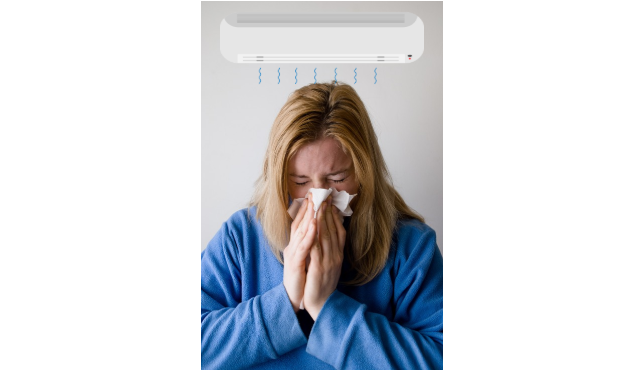 One benefit of a ducted air conditioning system is that it is designed to cool the whole house using a single air conditioning unit as the air, once cooled, is circulated into each area of the house via air ducts. This means that if you are looking to cool an entire house, or even a number of rooms in a house, ducted air conditioning could be a cheaper option than buying individual split system units for each room. Another benefit of ducted air conditioning is its average life expectancy of 15 to 20 years. This is significantly higher than that of a split system unit, with an average life expectancy of a mere 10 to 12 years. Ducted air conditioners also come with a discreet design as only the air vents (mounted in the floor, ceiling or walls) are visible in the room that is being cooled. This is because the bulk of the air conditioning unit is discreetly hidden behind walls and ceilings providing minimal disruptions to the decor of the house. It can be difficult to know when the ideal time to replace an old air conditioner is, short of the air conditioning unit breaking down. It can also be tempting to regularly repair an old system to keep it running and avoid having to buy a new system. However, this can be costly both in terms of repairs, and because the old unit is likely to be much less energy efficient than a newer model, which can significantly increase your power bills. If you’re not sure whether it’s the right time to replace your air conditioner call Advanced Climate Solutions. With no affiliation to any single manufacturer, we can offer unbiased advice on when it’s time to replace, and which unit is best for your needs. Call ACS on 07 3206 3542 for all of your air conditioning needs. One of the main benefits of buying a new air conditioner is saving money on your energy bill. This is because the harder your air conditioner has to work to cool a room, the more energy it will use. And since an air conditioners capacity to cool lessens over time, an older air conditioner uses more energy than a new air conditioner would to cool the same room. In fact, if your air conditioner is 8 to 10 years old, it could use twice the amount of electricity a basic new model would use to cool a room. With an average lifetime of 15 to 20 years, there is a high chance that your air conditioner will require repairs due to natural wear and tear during its lifetime. However, when an air conditioner stops working as it should, it can be difficult to identify the problem and whether or not you should call in a professional to repair it. That’s why we have compiled a list of common air conditioning problems and how to fix them (or when to call in an expert). Click here to read part 1 and part 2 of our common air conditioning problems series. One of the most common issues with an air conditioner is a miscalibrated or broken thermostat. If the thermostat for your air conditioner is not functioning as it should, it can result in an air conditioner that won’t turn on or off. This is because the thermostat uses the temperature (measured by sensors) of the air in the room to tell the air conditioner when to turn on or off. For example, if the temperature on the thermostat is set to 20 degrees, once the room temperature reaches 20 degrees, the thermostat will tell the air conditioner to turn off. However, if the sensor is damaged or knocked out of place, the measured temperature will be inaccurate, causing the air conditioner to turn off or on seemingly at random. Ducted air conditioning maintenance is an important part of owning a ducted air conditioner. 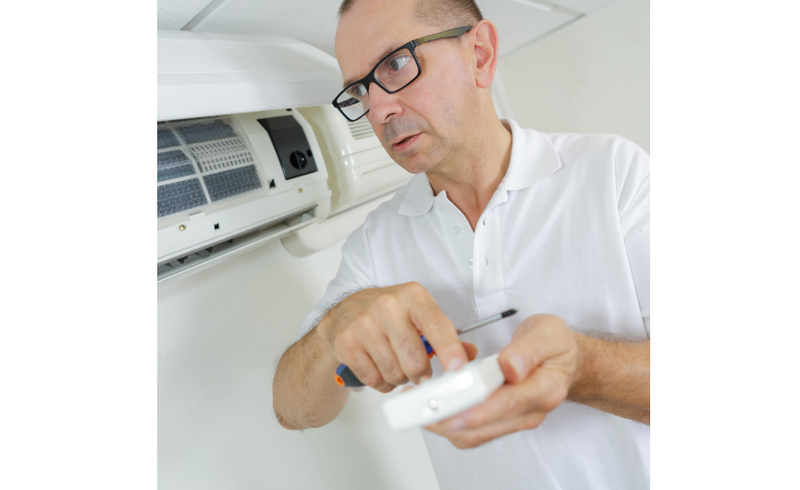 Regular servicing and maintenance will ensure that your air conditioning unit is energy efficient and can also extend the lifespan of the unit, prevent costly repairs, and even provide health benefits for your entire household or office. If you’re looking for quality ducted air conditioning servicing and maintenance Brisbane at an affordable price, call Advanced Climate Solutions today on 07 3206 3542. One benefit of regular air conditioning maintenance is preventing costly repairs. This is because neglecting something as simple as a dusty air filter can lead to damaged internal components, a complete system breakdown, and costly repairs. However, when your ducted air conditioning system is professionally serviced, your air conditioning specialist will clean and inspect the whole system. 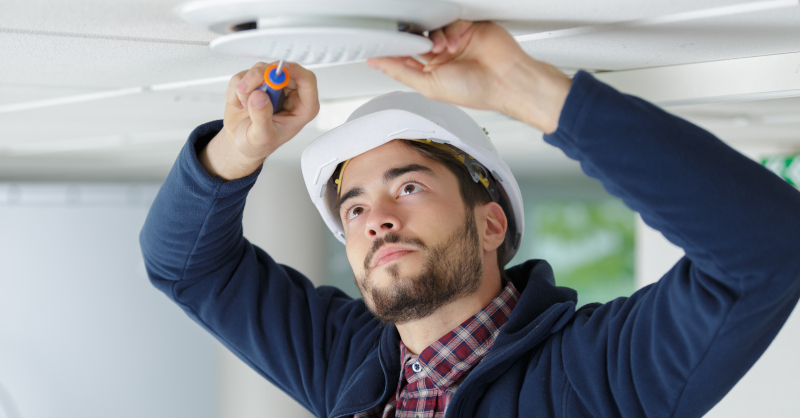 This means that if there is a problem with the unit, the technician will be able to identify and fix it before more damage is caused that could potentially leading to a costly unit breakdown. Another benefit of regular preventative maintenance is increased efficiency. When the internal components of an air conditioning unit become clogged with dust and other debris, it can reduce the airflow through the system. This causes the system to have to work harder to cool a room, using more electricity than usual. During a scheduled service, your air conditioning technician will clean or replace clogged air filters as well as check for dust and debris within the air conditioner. This will ensure that your air conditioner is working as efficiently as possible when cooling your house, reducing your energy bill. In the sunshine state where air conditioned homes have become the norm, we often take our air conditioners for granted. That is, until the day that you go to use it, only to find that it has stopped working. With the many working parts of a residential air conditioning unit, it can be difficult to diagnose where the problem is coming from. Use our easy to follow guide to common air conditioning problems (and how to fix them) to keep your air conditioner running smoothly all Summer long. Click here to read part 1 and part 3 of our common air conditioning problems series. Although condensation happens naturally as an air conditioner produces cold air, any excess water produced by condensation is usually drained outside via an exit pipe. If your air conditioner is leaking water it could be an indication of a clogged or leaking pipe. The first thing to do when you notice that your air conditioner leaking water is to check the exit pipe from the air conditioning unit to see if it is clogged, as there could be a blockage that is preventing the water from draining correctly. If a clog is identified, try clearing the pipe using compressed air and following manufacturers instructions. If the exit drain pipe is free from obstructions there may be a leak in the pipe. If this is the case, contact your local air conditioning specialist to repair the leaking pipe. 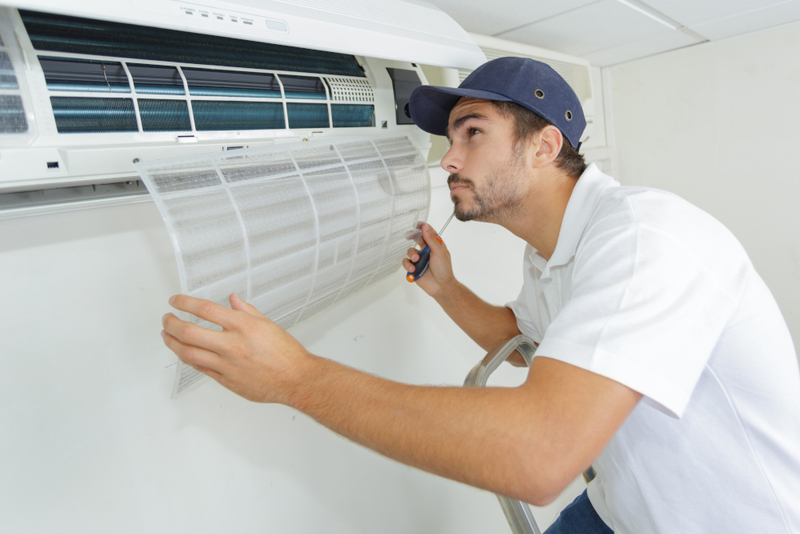 An air conditioner is a staple in most Queensland homes thanks to our notoriously hot summers, which makes it all the more frustrating when your air conditioner stops working as it should. There are many components in an air conditioning system which can make it difficult to identify what the problem could be and how to fix it. That’s why we have put together a list of common air conditioning problems and how to fix them. If your air conditioner breaks down call Advanced Climate Solutions on 07 3206 3542. We offer 24/7 emergency breakdown service because we know how important an air conditioner can be during the sweltering Queensland summer months. One of the most common problems we come across is an air conditioner that won’t turn on at all. 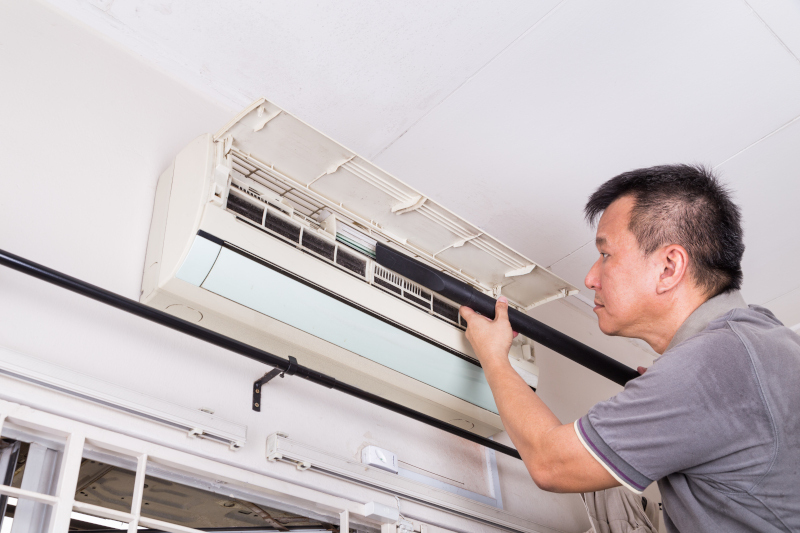 There are many possible causes of an air conditioner not turning on when it should. Firstly, the circuit breaker may have tripped or you may have blown a fuse. This is a very simple problem to fix. Simply reset your circuit breaker by turning it off and on again. If there is a broken fuse you will need to replace it, and your air conditioner should go back to working as normal. Once you have established that neither a tripped circuit nor a broken fuse is causing your problem, make sure that the thermostat is in cooling mode and is set to a temperature that is lower than the current temperature of the room. This is because if the thermostat is set to the same temperature as the room it’s supposed to be cooling, it will not turn on as the room is already at the desired temperature.